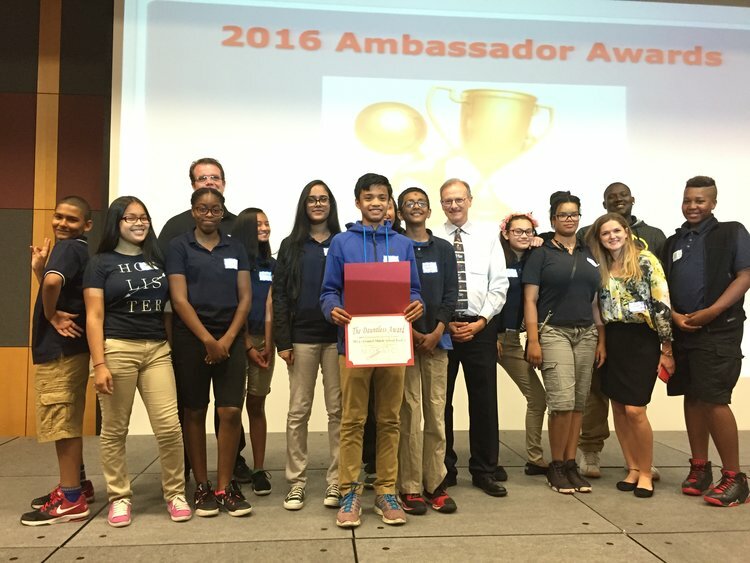 Student “Ambassadors” are elected in MOSAIC advisories to serve as classroom and school leaders, connecting advisories to student government and school administration, affording a structure for students to become engaged, involved stakeholders in ongoing issues among peers, school, and community. 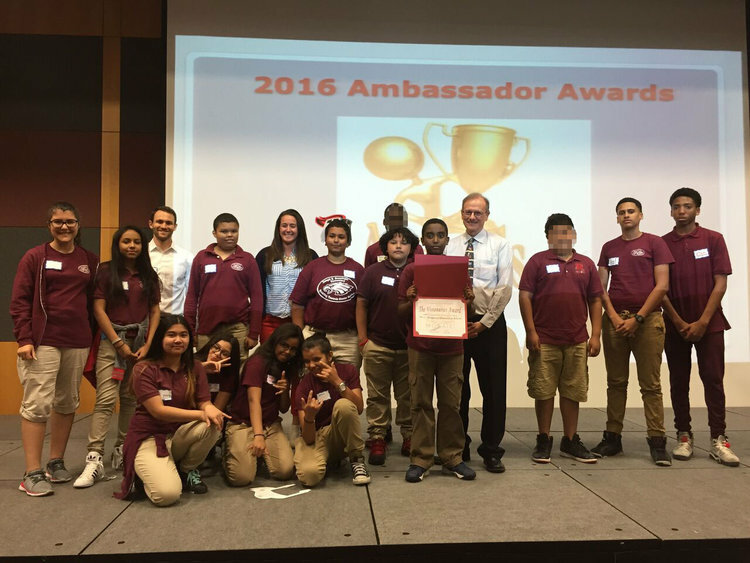 The overarching focus of the Ambassador Program is to develop Positive Purpose in young people by giving them a leadership opportunity to work with their peers and administration to create positive change in their school and community. 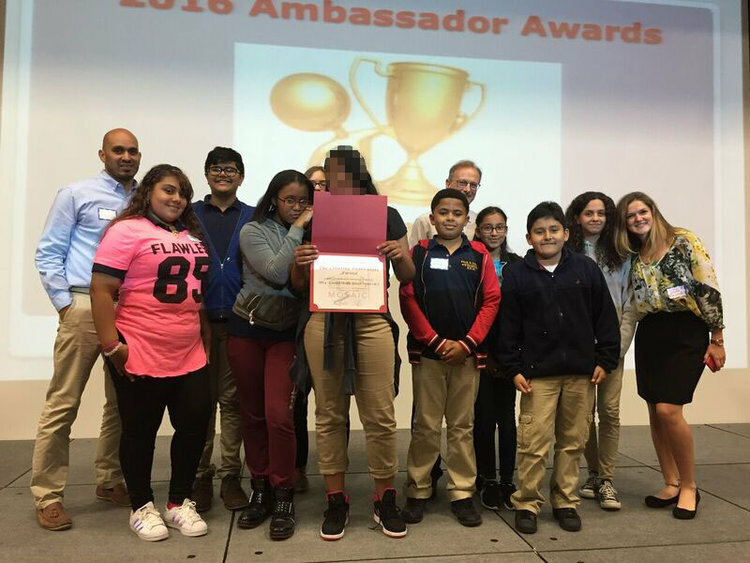 Ambassadors build their own leadership skills and also model and inspire their peers to exercise constructive leadership. 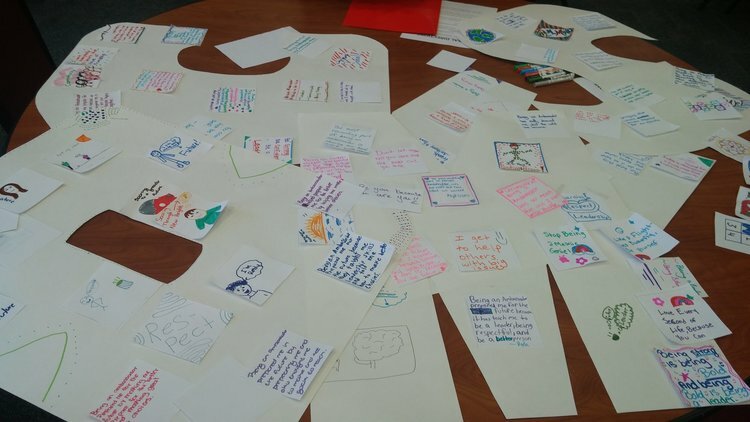 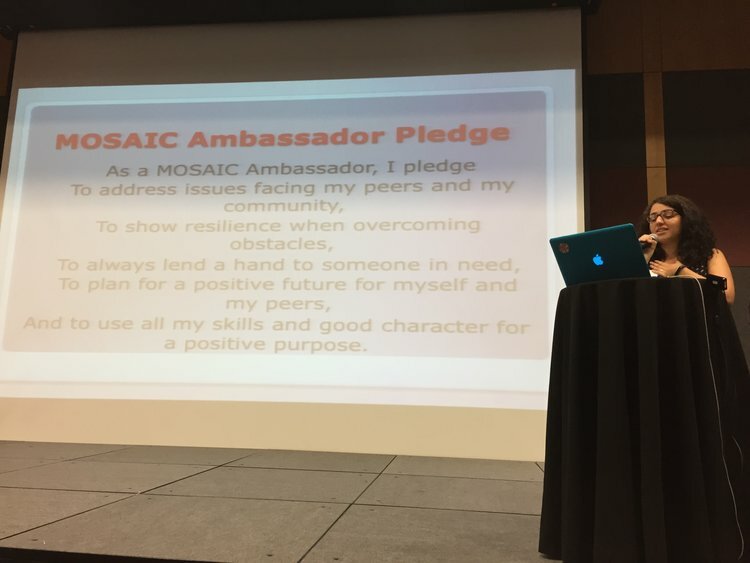 At the end of the academic year, schools implementing the MOSAIC and/or Ambassador Program are encouraged to hold a showcase to celebrate and recognize the efforts of the students on their Positive Purpose Projects and/or STAT Projects. 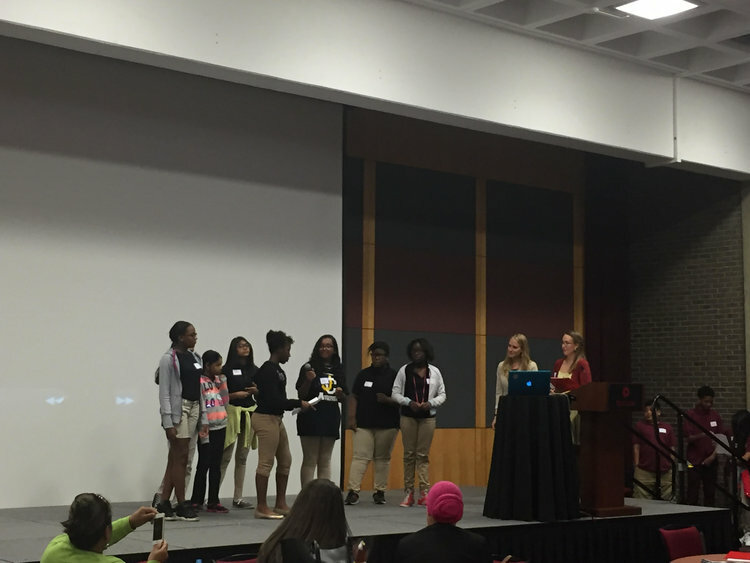 Below are several videos and photos from Showcases held at Rutgers University. 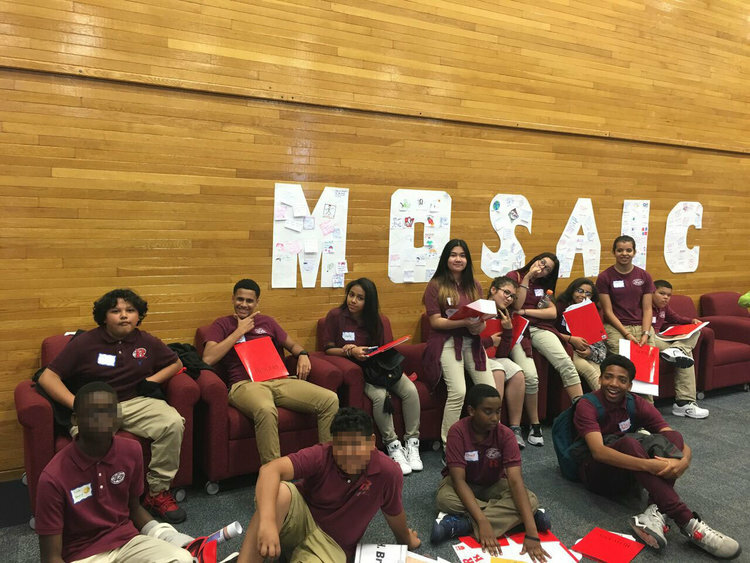 An overview of the MOSAIC Project, a collaboration between the Rutgers SECD Lab and the Jersey City Public Schools. 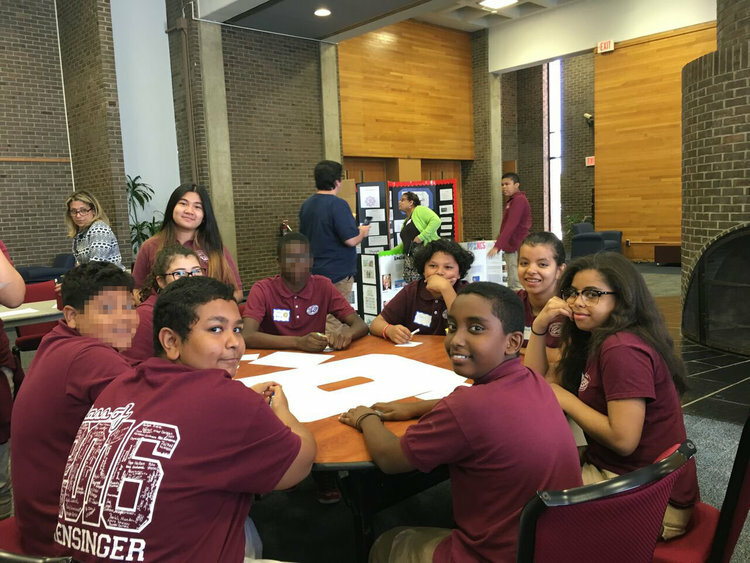 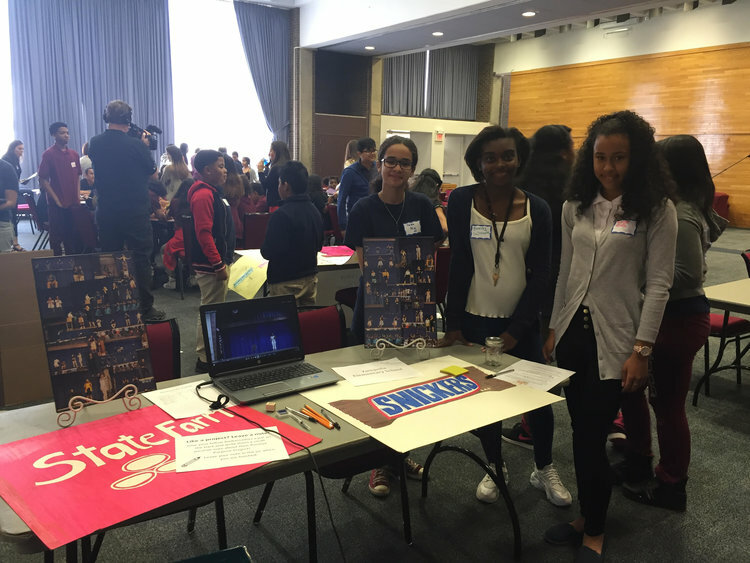 A collection of photos from our Spring 2016 Ambassador showcase, where students from six Jersey City Middle Schools were able to present some of the work they completed in MOSAIC.